Sign up for Broadjam today to follow Xenthe, and be notified when they upload new stuff or update their news! 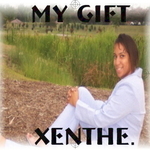 This song has R&B music but lyrics comes from the heart of a Christian. 98% of this song came directly from God in the studio. This song was made up while it was being recorded and what you hear is pretty much exactly the way it came from God.